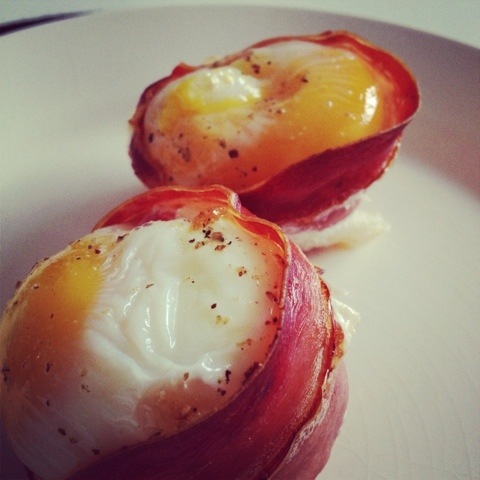 You do not have to get up half an hour earlier in order to make breakfast just because your living the paleo way. I will share these little wonderful bites with you ..
Line a muffin form or ramekin with a good organic bacon, fill up the form with cherry tomatoes cut in half, and leave approx. 2cm for one beaten egg on top. Season with pepper and bake them in the oven at 200c for approx. 10-15 min and take a shower while waiting for the little lovely bites.. This entry was posted in Morning on 03/12/2013 by tine.